You will travel past the small settlements of Kaimata and Tarata. 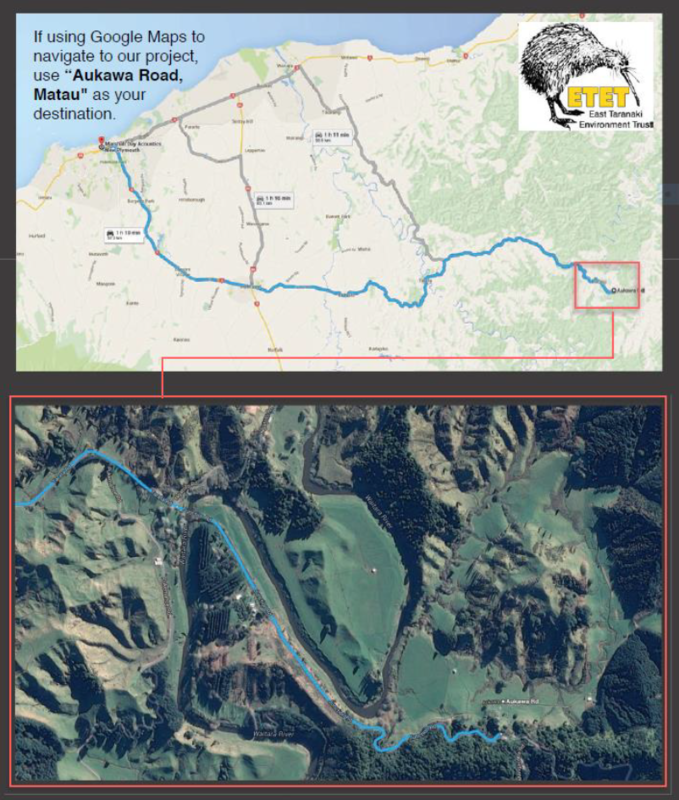 Continue on and at approximately 36kms you will reach Purangi and a second bridge over the Waitara river. Continue over the bridge. The name of the road now changes from Tarata Road to Junction Road which is a continuation of Tarata Road. A large white sign is situated on the left adjacent to the entrance. This is a paper road with 2 x gates. Please pass through these gates and leave them as you ﬁnd them (open or closed); there are usually sheep grazing in this area. The ETET ﬁeld centre cabin is located a few hundred metres down this gravel road. Please park outside here.